Think you’re ready for another round of Fallout? 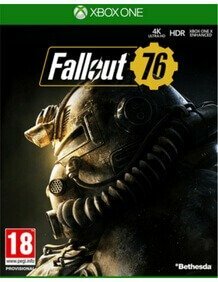 Pre-order Fallout 76 today. Bethesda Game Studios are now welcoming you to Fallout 76. The teaser trailer has been revealed and we can expect to find out more info at E3 on June 10th. All we know is that this title will be just as good as Fallout 4. Tune back soon to GAME for further details on this latest announcement.